Kelvin Gastelum doesn't think Israel Adesanya is worthy of a UFC middleweight title shot after his win over Anderson Silva in Melbourne, Australia. Kelvin Gastelum doesn’t believe Israel Adesanya deserves a UFC middleweight title shot. “Stylebender” defeated 43-year-old former 185-pound king Anderson Silva in the main event of UFC 234 over the weekend (Sat. February 9, 2019). Initially, Robert Whittaker was scheduled to defend his title against Kelvin Gastelum in the main event. However, Whittaker was hospitalized the morning of the card. After receiving emergency surgery for a situation that could’ve been fatal, Whittaker was not able to compete on the card. “He beat a 43-year old Anderson Silva. I’m not sure that’s a claim for a title shot. But if the UFC decides he’s No. 1 contender and gets to skips the five guys in front of him, then so be it. I guess I will fight the No. 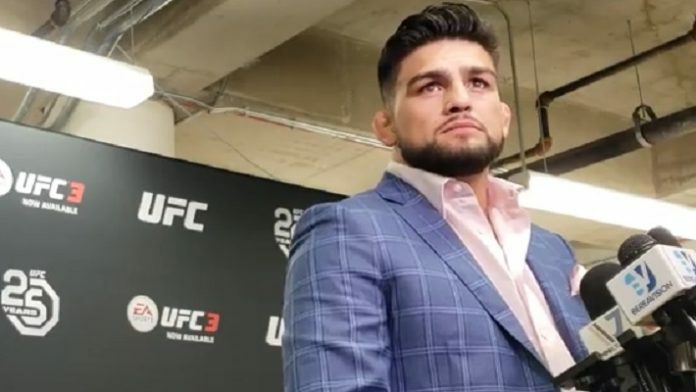 1 contender and defend my title,” Gastelum said. Who do you think should get the next shot at the UFC middleweight title?